To say we just scratched the surface in understanding emojis is an overstatement, but this is enough for us to get started. 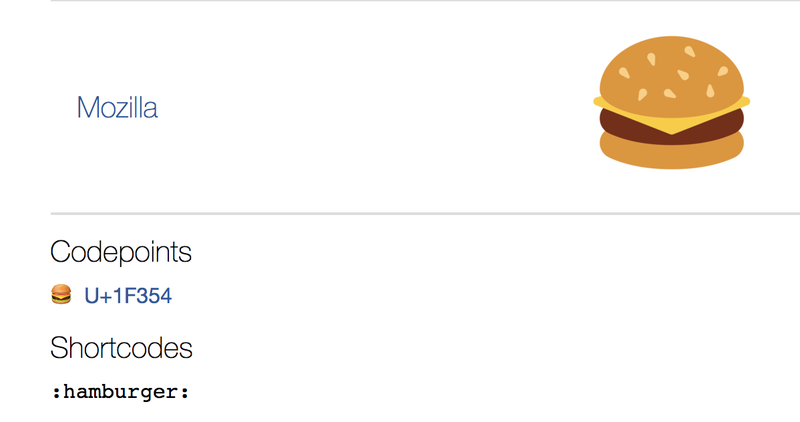 It's time to see emojis in action inside our web documents! Once you've done this, now comes the fun part of actually getting an emoji to display. You have two ways of being able to do this, each with a varying degree of funness. One way is by using the emoji directly in your HTML. The other way is by specifying the emoji via its primitive numerical representation. We'll look at both of these cases. Your traditional text-only environment where you've written your markup all these years will suddenly have something visual in it. Don't worry. It's cool. When you preview your HTML document in your browser, everything will still work. 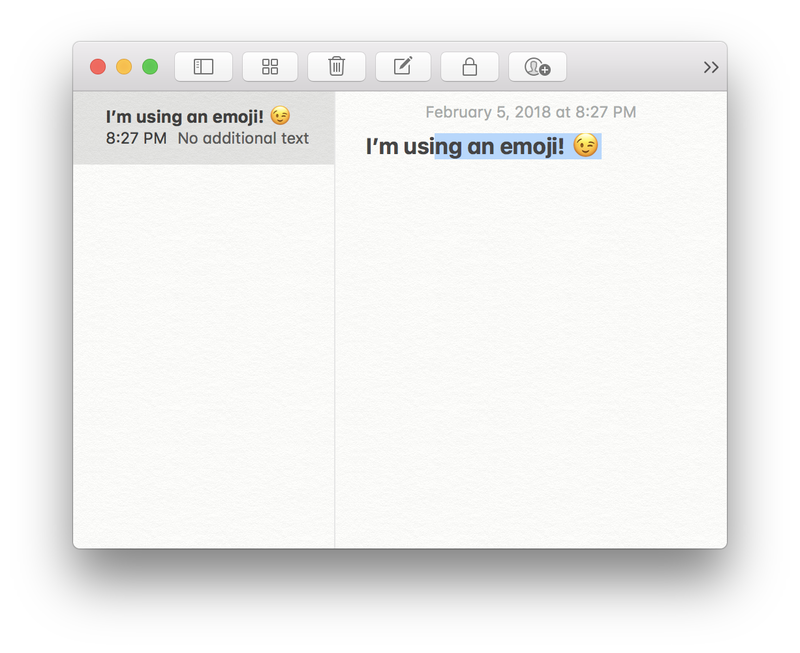 With this change, you still get to use emojis in HTML and be accessibile at the same time. That's a win, win,...win! Thanks to Eva Larumbe for pointing this out. 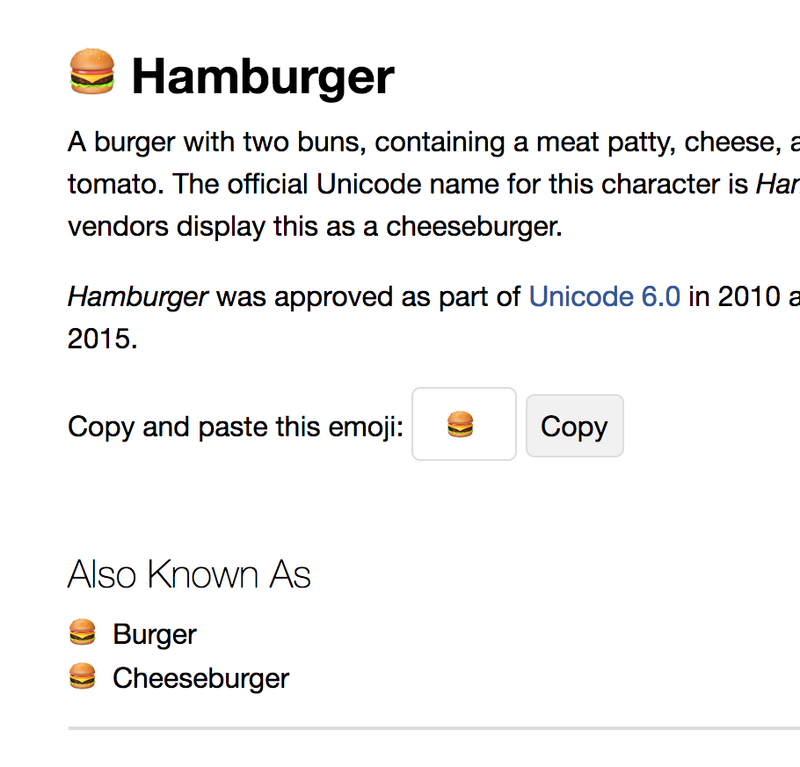 When you preview your document in your browser, you'll still see the hamburger emoji displayed correctly...despite it looking strange in our markup compared to the copy/paste solution we looked at earlier. 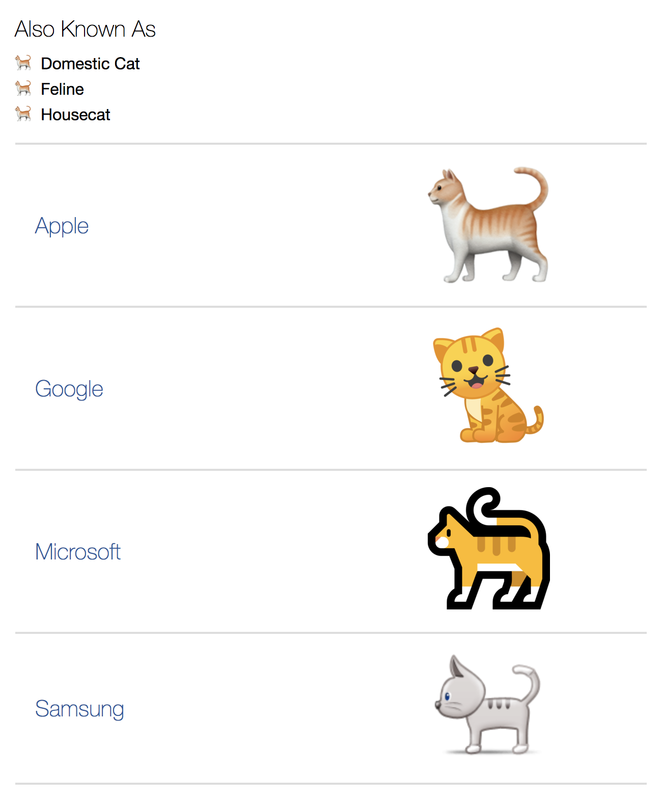 We've glossed over what emojis really are and what purpose codepoints serve. To start from what we said earlier, emojis are just characters like all of the text that we type. That is often a confusing thing to understand. A part of the reason for this confusion is because we tend to think of characters as just what our keyboards support. Here is the problem: What our keyboards allow us to represent is a very tiny percentage of the overall set of characters that is available to us. Notice that you have many categories of characters that go beyond just the usual things we see on a typical keyboard. If we had to have a keyboard to support every character our operating system supports, it would need to be at least...three times bigger than the usual keyboard. Ok! Let's go one level deeper. We saw that the emojis we wanted to use had a bizarre numerical representation. As it turns out, ALL characters we use have the same bizarre representation under the covers as well. On our screens, we may see letter characters like A, B, C, D, E, F, G. Under the covers, these characters look like the following: U+0041, U+0042, U+0043, U+0044, U+0045, U+0046, and U+0047. We already said that this representation is known as a codepoint, but the more precise term is Unicode codepoint. This detail is important to know about, for Unicode is an industry standard for ensuring the text you see on your screen is the same on another screen somewhere else - regardless of language, locale, system capabilities, operating system, and so on. A codepoint is the most basic unit of representing information in Unicode. A series of codepoints represents characters and text. Phew! The Unicode standard ensures that the appropriate codepoints represent, in this case, a cat. Each implementer has full creative freedom in interpreting that as they wish. For some developers, this inconsistency isn't desirable. What they have done instead is re-create the emojis in SVG or PNG form so that they can ensure consistency. An example of someone who does that is Twitter! 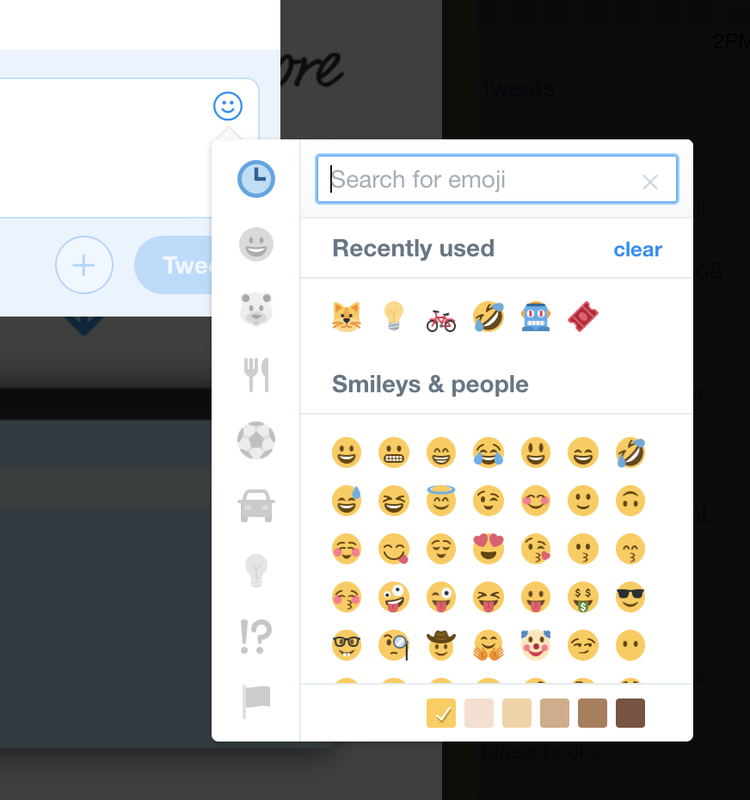 We used their emoji picker screenshot to start this tutorial off at the beginning, and every emoji you see there isn't from our operating system or platform. It is from the really awesome Twemoji project. 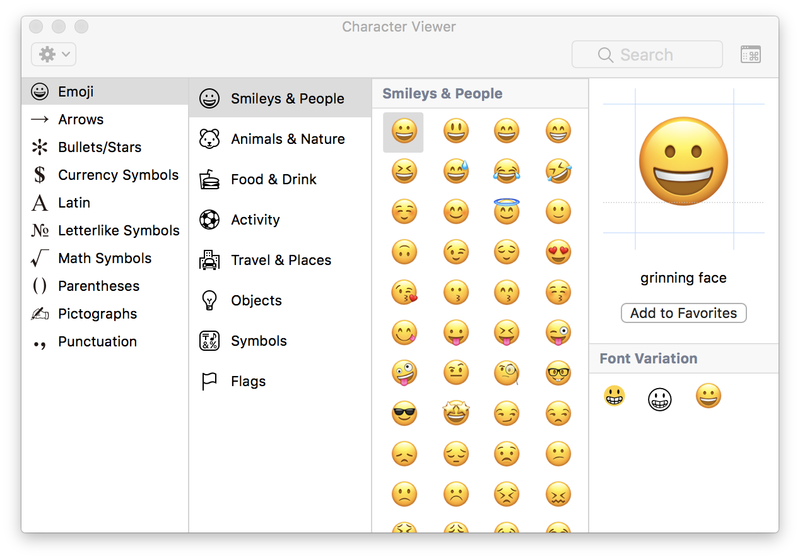 There are many emoji libraries out there that you can use, so use whichever one you like if the native emoji support isn't what you are looking for.